With thousands of students and classes a year between two campuses – plus 14,000+ alumni using their ICE education in the food and hospitality industries – we’re never short of news. Follow the latest ICE updates, awards and honors, faculty hires, major events and industry firsts here and on our social media channels. Plus, here's where we're featured in other news outlets. 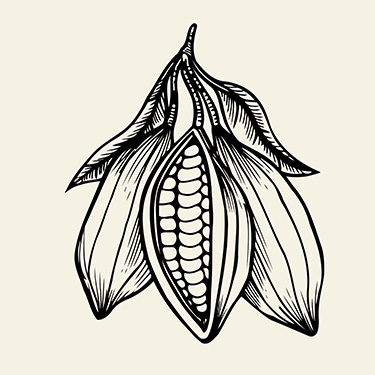 Matt Hyland, Sohui Kim, Miguel Trinidad and Kristen Miglore were featured in The New York Times’ highly anticipated list: 19 Best Cookbooks of Fall 2018. The Accrediting Commission of Career Schools and Colleges honored ICE alum and founder of Emma’s Torch Kerry Brodie at its annual Professional Development Conference. Kerry won the ACCSC 2018 Outstanding Graduate Award. In September, ICE was thrilled to announce Barry Tonkinson as our new Director of Culinary Research and Development. From his Michelin-starred background to managing his own catering company, Chef Barry brings a modern approach to the education of future chefs and industry leaders. 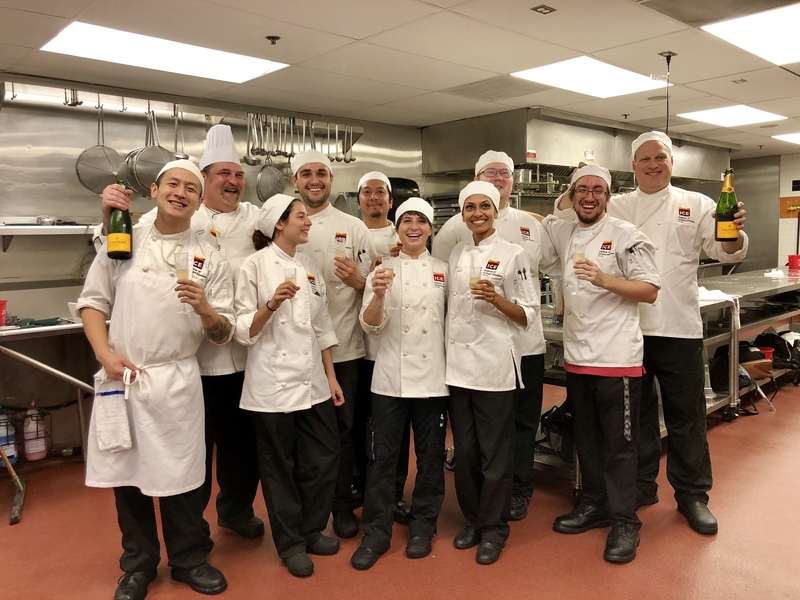 In August, ICE proudly congratulated the Los Angeles campus’ first Culinary Arts class, as the group of future chefs completed 110 lessons on campus and moved on to externships. Since then, several more classes have followed suit. 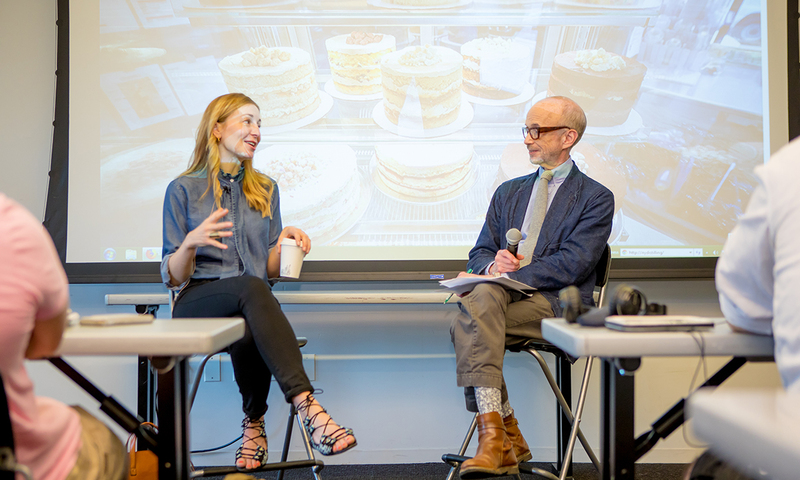 ICE welcomed Milk Bar owner and founder Christina Tosi to the New York campus in June. Chef Christina spoke to management students as part of ICE’s Meet the Culinary Entrepreneurs lecture series, sharing her path to success and inspiring students. ICE awarded five full scholarships to the winners of the 2018 #CulinaryVoice Scholarship Contest in June. 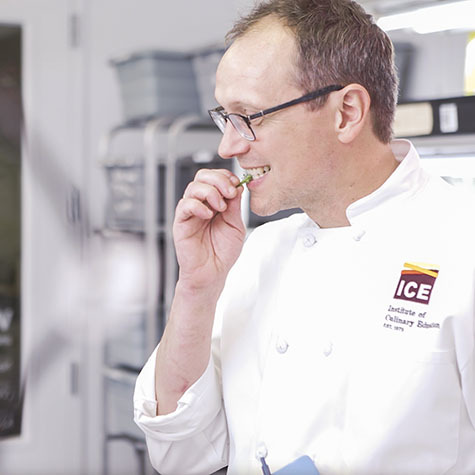 Following the success of the past two challenges, ICE joined forces with ABC’s “The Chew”, and this year’s competition played out in five episodes that aired nationally. 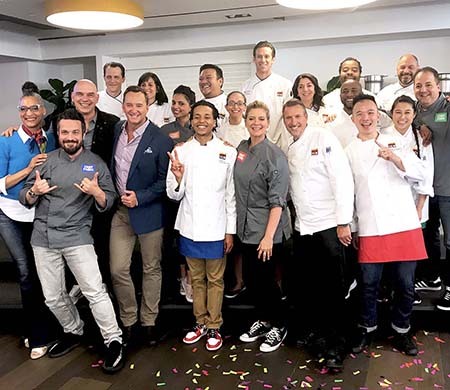 In addition to “The Chew” co-hosts Carla Hall, Clinton Kelly and Michael Symon, celebrity chefs Amanda Freitag, Maneet Chauhan, Josh Capon and Fabio Viviani served as mentors to contestants during the tough competition and eight ICE chef-instructors ultimately judged and selected the winners. ICE welcomed Rick Camac as the new Dean of Restaurant & Hospitality Management. Rick is a proven brand builder and concept creator with strong leadership skills. 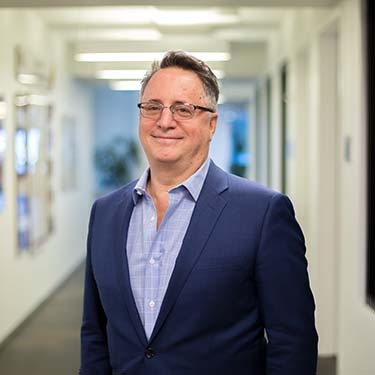 Over a career spanning two industries (technology and hospitality), he has succeeded in launching startups as well as running large regions for billion-dollar organizations. 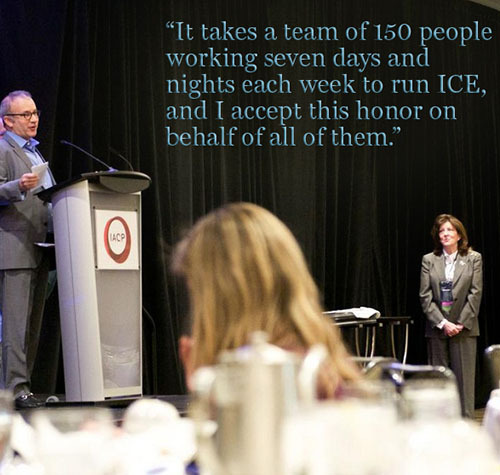 His latest endeavor at ICE may be his most successful to date, as he’ll have the chance to share lessons gleaned from his years of experience with each student in the program. After 42 years in New York City, ICE opened the doors to a second location in Los Angeles — an urban oasis for food and restaurant lovers and without a doubt one of the most exciting food cities in America. 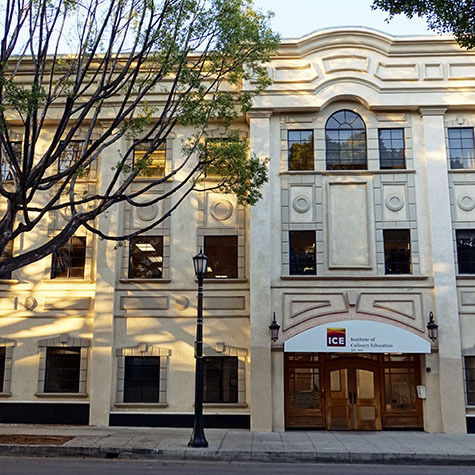 ICE has taken over the facility previously occupied by Le Cordon Bleu in Pasadena, California, and reimagined the space as a center for learning, innovation and creativity, staying true to the vision embodied by the New York flagship. The first classes began in mid-March. In conjunction with ICE Creative Director Michael Laiskonis, ICE hosted Roots of Cacao, the first day-long symposium dedicated to all things chocolate. 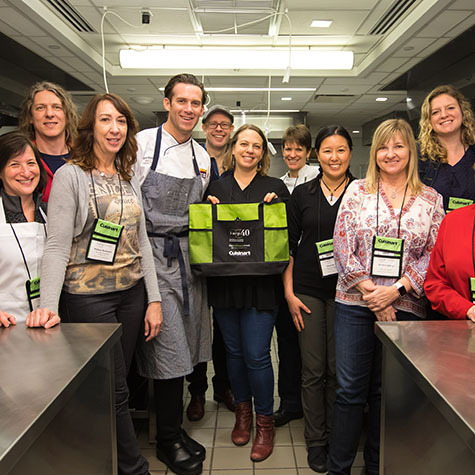 Through a series of talks, demonstrations, tastings and panel discussions, the program gathered more than a dozen chocolate makers, pastry chefs, industry insiders and historians to share expertise with a packed room of nearly 100 attendees. February 2018 Through a series of hands-on workshops, ICE hosted the 40th anniversary IACP Conference at its New York campus. Many ICE alumni participated as speakers and award nominees, including Gail Simmons, Stacey Rivera, Stacy Adimando and others. Through a series of hands-on workshops, ICE hosted the 40th anniversary IACP Conference at our New York campus. Many ICE alumni participated as speakers and award nominees, including Gail Simmons, Stacey Rivera, Stacy Adimando and others. 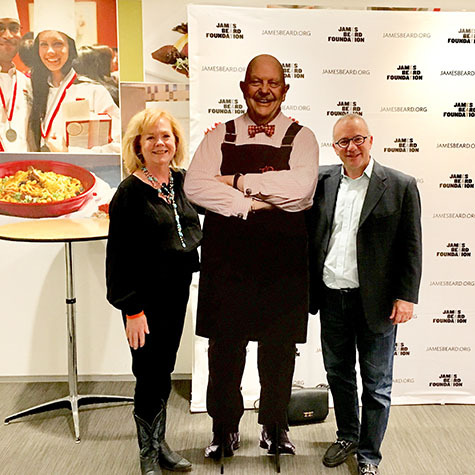 ICE proudly hosted the James Beard Foundation’s Chefs’ Night Out, a prelude to the JBF Awards ceremony in Chicago and a chance for chefs, nominees and presenters to mix and mingle while sampling inventive food and drinks. With the James Beard Foundation celebrating its 30th anniversary, this year’s Chefs’ Night Out was particularly festive. 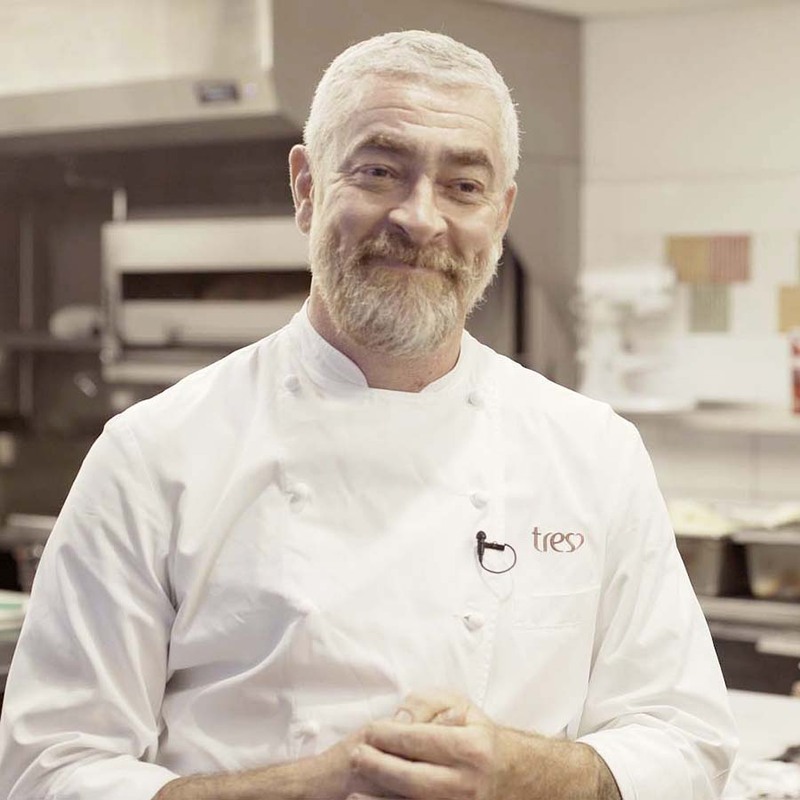 ICE was thrilled to host world-renowned Brazilian chef Alex Atala for the Recipes for a Delicious and Sustainable Future dinner to benefit the MAD/Yale collaboration. The evening’s theme was sustainability — one of ICE’s core commitments — and addressed how chefs can be agents of change. 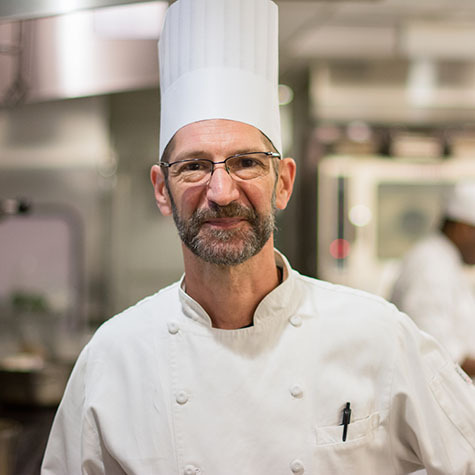 Michelin-starred Chef Bill Telepan joined ICE as the school’s first director of sustainability. 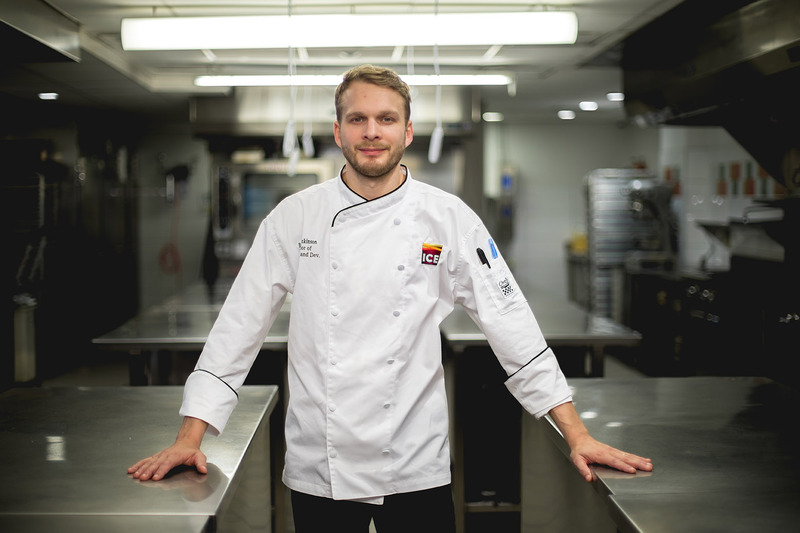 Telepan brings his talent, insight and experience to ICE students in this pioneering role. He is currently the executive chef of New York City restaurant Oceana, as well as executive chef of Wellness in the Schools, a national non-profit devoted to healthy eating in public schools. 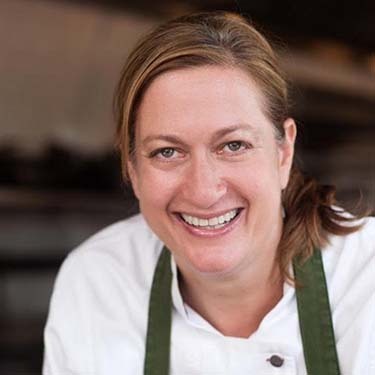 Prior to Oceana, Telepan spent 10 years as chef-owner of the Michelin-starred NYC farm-to-table restaurant, Telepan, and was invited by Michelle Obama to join the Chef’s Move to Schools task force. 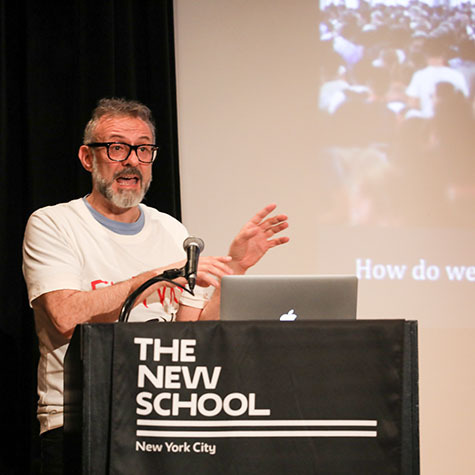 ICE and The New School organized the first Zero Waste Food conference to drive the conversation about eliminating food waste and increasing sustainable food production. The conference — a culinary industry call-to-action — brought together chefs, scholars and entrepreneurs including keynote speaker Massimo Bottura, chef and owner of Osteria Francescana; Dan Kluger, chef and owner of Loring Place; Kate MacKenzie, senior director of programs at City Harvest; Doug Rauch, founder and president of Daily Table and Conscious Capitalism; Bill Telepan, executive chef of Oceana; Missy Robbins, chef and owner of Lilia; Jaime Young, chef and owner of Sunday in Brooklyn; and Michael Laiskonis, pastry chef and ICE Creative Director. 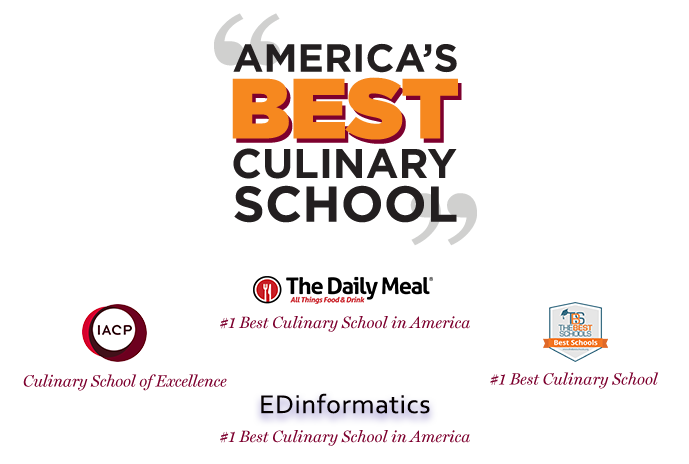 ICE was named “The Best Culinary School in America” by The Daily Meal, a leading food and lifestyle website, and was awarded the same title by The Best Schools and EDinformatics, leading resources for campus and online education, in 2016. Additionally, ICE was listed as one of the top culinary schools in the nation by FSR Magazine earlier in the year. The Daily Meal also named ICE’s School of Recreational Cooking as the Best Cooking Class in America. ICE announces the hire of the celebrated Chef David Waltuck, formerly of Chanterelle, as the school's first director of culinary affairs. Waltuck brings his talent, insight and experience to ICE students in this innovative role. Waltuck has enjoyed an illustrious culinary career with two James Beard Awards, two New York Times four-star reviews and two award-winning books under his belt. In April, ICE will move to its brand-new, expanded, 74,000-square-foot home at Brookfield Place, overlooking the Hudson River in Lower Manhattan (225 Liberty Street). This historic move will mark the school’s 40th anniversary and follow a record-high career student enrollment. The new location will be the largest culinary education facility built in a major American city in more than 10 years with special features including a chocolate lab, culinary technology lab and hydroponic herb garden. 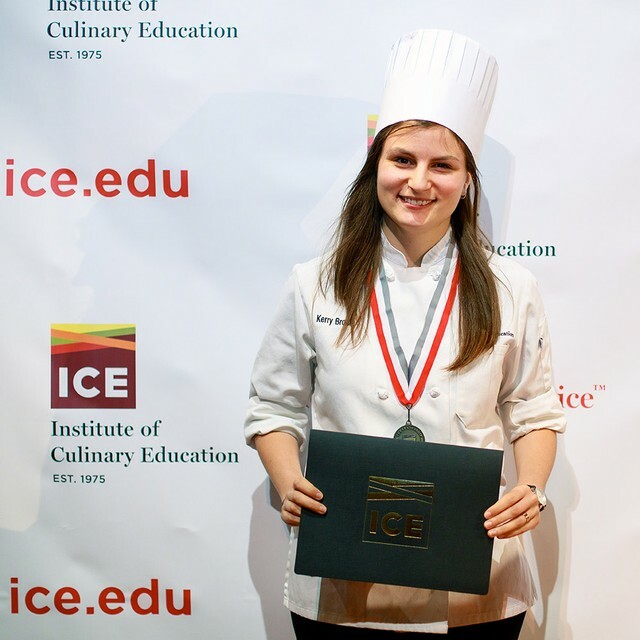 ICE receives the ultimate nationwide honor from the International Association of Culinary Professionals (IACP), winning the 2015 Award of Excellence for “Culinary School of the Year” at the Annual IACP Conference in Washington, D.C. This award came at a pivotal time in ICE’s history — 2014 had record enrollments and 2015 marks the school’s 40th anniversary. ICE and IBM teamed up to explore cognitive computing and creativity in the culinary arts. The partnership led to entirely new recipes created by ICE experts and inspired by unconventional ingredient concepts generated by Chef Watson. 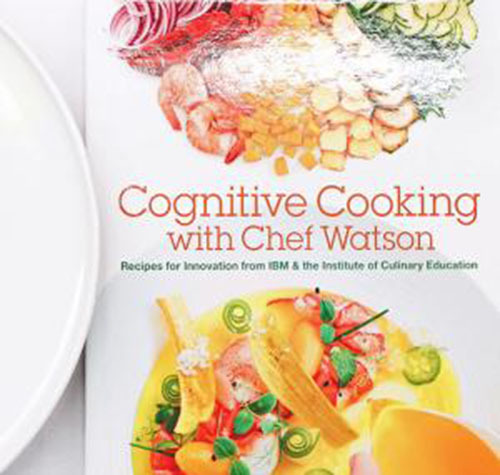 The new cookbook, “Cognitive Cooking with Chef Watson,” will help cooks everywhere discover and create delicious recipes, designed by chefs working with Watson and IBM's cognitive computing system.